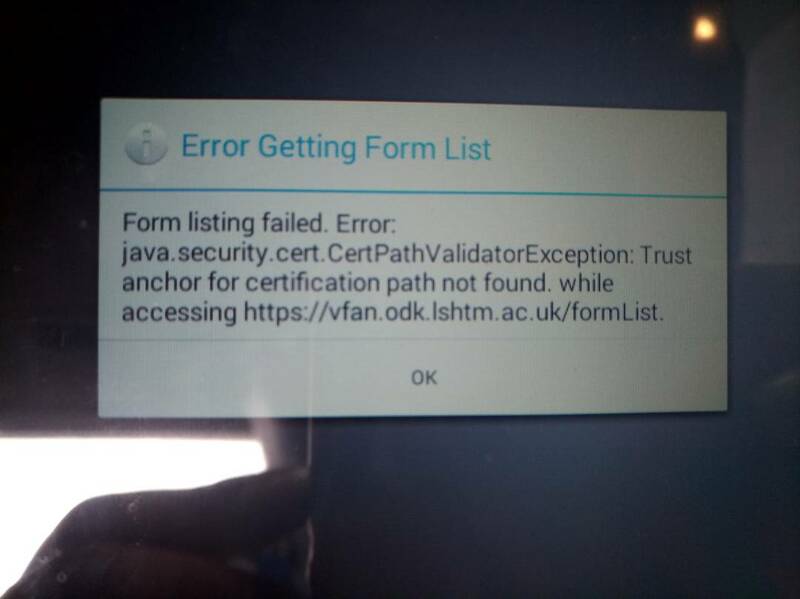 This happened because we recently renewed the SSL certificate for ODK and our latest certificates use a different Certification Authority (CA) to the previous one. Most likely what was happening here was that the problem devices didn’t have the appropriate root CA installed and failed when trying to connect to the secure server. The root certificate that is required is “QuoVadis Root CA 2 G3”. To check if this is installed on an Android device, go to Settings / Security / Certificate management / Trusted Certificates / System and scroll down the list for the QuoVadis entries (the menu items here may be slightly different on different depending on the version of Android).